Her job is to track and trace small arms and ammunition in Africa’s conflict zones. Each bullet, assault rifle, mortar, rocket or other item of military hardware she documents forms a piece of a huge jigsaw being created by the UK-based NGO Conflict Armaments Research (CAR) to map the precise flows of conflict weaponry in Africa. The UN Stabilization Mission in the DRC’s (MONUSCO) Force Intervention Brigade (FIB) has been handed a “robust” UN Security Council mandate to neutralize the country’s armed groups, in partnership with the DRC’s national army (FARDC), and operations are in progress against a variety of militias. 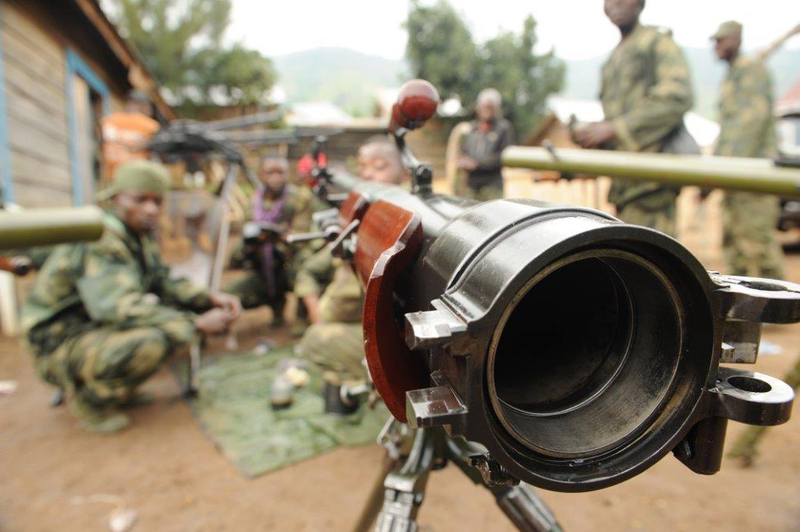 The Forces Démocratiques pour la Libération du Rwanda (FDLR, Rwandan Hutu rebel group) position in the Virunga National Park was recently overrun by FARDC and Malawian FIB elements. Two FDLR fighters were killed, FARDC told IRIN, and the remainder, about 20 or so, were thought to have scattered into the bush. Juggling two cell phones, the investigator makes a flurry of calls and is granted permission by some of the FARDC military hierarchy - and denied it by others - to visit the captured FDLR bush camp, known as Kilometre Nine. Documenting the find as quickly as possible in situ is imperative. Armed groups and national armies, more often than not, share the same firearms. After military positions are captured, any weaponry and ammunition is often distributed among the victors and a link lost in piecing together the supply chain. From the volcanic rock road there are no signs of the militia base that provided FDLR an income from the US$0.21 toll for travellers bisecting the park from Kalangera and Tongo in Rutshuru Territory, North Kivu Province. However, a few metres into the dense brush, an area opens up revealing the detritus of living: Bush meat hangs from trees, the smell of poor sanitation pervades; there is a bed made from branches, with straw as a mattress, and a poncho strung above it as a barrier to the rain - and an ammunition box. Taking each round, she begins photographing the “head stamp” on the base of the cartridges. To the untrained eye the ammunition markings may appear meaningless. For the investigator, it reveals a telling story. “For example, the Bulgarian identity number is 10. Uganda’s Luwero Industries use Chinese manufacturing equipment, so have the same font. LI at the 12 o’clock position and the two digit year at the 6 o’clock position,” he said. "There is Sudanese ammunition in the DRC. The Khartoum government supplied a fair bit of it"
There are other tell-tale signs on the head stamp that may help confirm origin - but are not sufficient on their own to determine it - such as the colouring of the primer annulus lacquer, or the “primer stakes” configuration - small indents around the primer (the ignition point at the base of the cartridge). "There is Sudanese ammunition in the DRC. The Khartoum government supplied a fair bit of it. M23 [an alleged proxy force of neighbouring Rwanda] also had a lot of it. We are trying to resolve how it got there. It’s also not great quality,” Bevan said. 12.7 x 108 mm cartridges in use by the DRC national army (FARDC). The head stamp shows the ammunition was manufactured in Novosibirsk, Russia. One of the bullets was produced in 2008 and the other two in 1988. The head stamp shows the ammunition belonging to DRC national army troops was manufactured in Novosibirsk, Russia. One of the bullets was produced in 2008 and the other two in 1988. The UN General Assembly on 2 April 2013 adopted the Arms Trade Treaty (ATT) to regulate the estimated US$70 billion annual trade in conventional weapons. Iran, Syria and North Korea voted against the treaty. By the first anniversary of the adoption of the treaty, 118 states had signed and 31 had ratified it. The ATT enters into force after ratification by 50 states. Allison Pytlak, campaign manager for the London-based NGO Control Arms Coalition (CAC), told IRIN the ATT had “no monitoring mechanisms built into the treaty”. 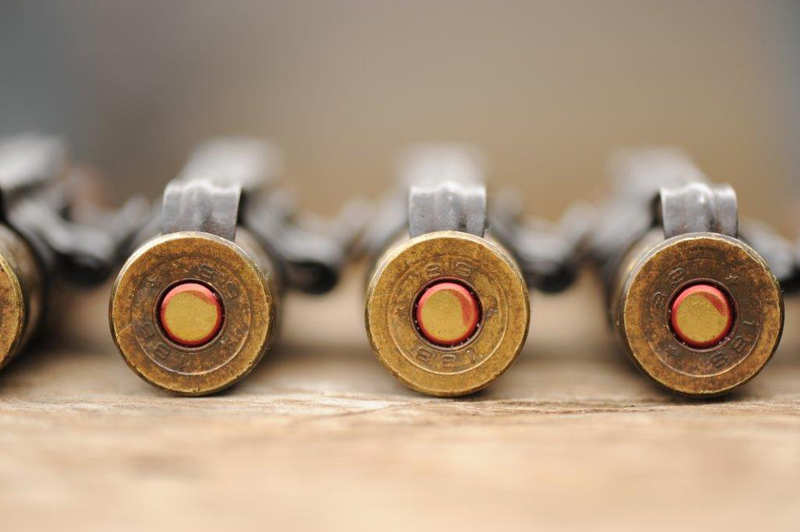 "Studies estimate that the trade in ammunition for small arms and light weapons is worth $4.3bn per annum - more valuable than the trade in small arms and light weapons themselves, an estimated $2.68bn"
A FARDC unit had commandeered the weapon, something that illustrates how materiel can be quickly lost as weapons change hands within such fluid environments. Documenting the weapon provides another point to determine at a future time - how the weapon may have moved through a maze of military actors, both government and militia. La marque de culot indique que les munitions, qui appartiennent à l’armée congolaise, proviennent de Novosibirsk (Russie). L’une des balles a été fabriquée en 2008, et les deux autres en 1988.